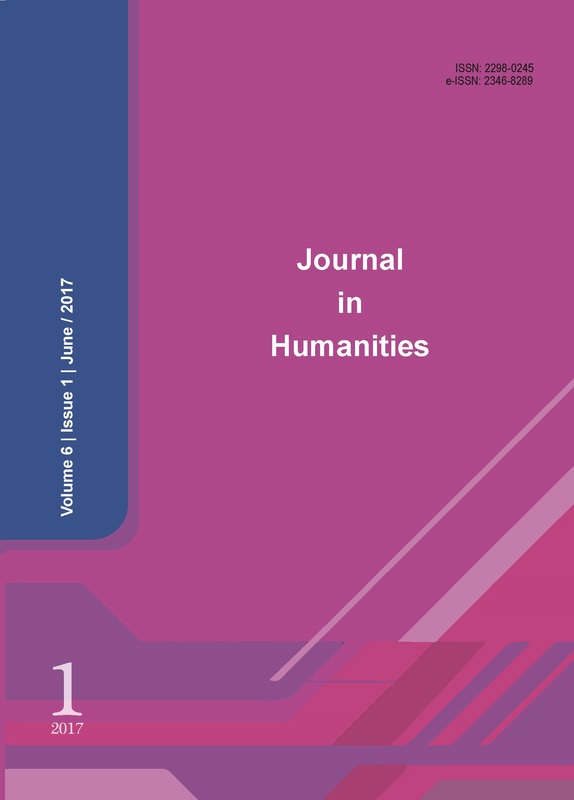 Journal of Humanities contains articles for educators, researchers, policy makers, and scientists. The aim of journal is to encourage contribution in Humanities. Encourage and motivate researchers in challenging areas of Humanities: American literature, American culture and multicultural studies, American women’s history, gender studies, American history, psychology, language, philosophy, geography, history of American pop culture, public relations, Turkish literature, and many more branches in this field. Improve the approaches of research, education, promotion and other multidisciplinary and interdisciplinary efforts by fostering a better understanding of the multidimensional nature of research. Date of Publishing: JEBS is inviting papers for Vol. 6, No 2, 2018 which is scheduled to be published on 30/06/2018. Submission:All manuscripts must be submitted electronically and authors can use JEBS online submission system (Check the link below) to send their manuscripts for possible publication. Copyright © 2017 Journal in Humanities. All Rights Reserved.